HALO is always a favorite of ours. Their swaddles and SleepSacks are so soft and of perfect quality. We have never had any issues with any of our items. HALO now has released their new Spring Prints and I'm super excited to share those with you now. They are JUST released and oh so adorable! Perfect for upcoming Spring showers! Love the pattern! It's subtle, but still so BOY!! One of my favorite features has always been the bottom up zipper. It makes diaper changes so much easier! He's such a wiggle worm! All his pictures are so blurry! Liam is 14.5 months, 22 pounds and 30.5" tall. He is seen here wearing the 12-18m (large) wearable blanket! HALO just has the perfect baby items. Both my boys have lived in their HALOs and we have quite a few put away for Liam as he gets older. I love using the cotton ones in the Spring and Fall and I like using the fleece in the winter. My boys room gets pretty cold, so we need these almost year round. Sometimes even in the summer I need to put him in a diaper and his SleepSack just to keep a blanket on him! The sacks wash well, barely fade and hold up until they're outgrown (and even more). They are of such high quality. HALO Innovations is dedicated to putting the health, safety and well-being of babies first. In fact, over 1,300 hospitals use HALO® SleepSack® wearable blankets through the HALO Safer Way to Sleep Initiative. The HALO family of products, including HALO SleepSacks and SleepSack Swaddles, SwaddeSure and the best-selling HALO BassinestTM Swivel Sleeper, help children from newborn to toddler age sleep better and safer. You can follow HALO on these social networks! You can find these new adorable prints on Amazon in sizes Small (10-18lb) through X-Large (26-36lb). But I do find these run a little bit big! Price: They are $26.95 each and are definitely worth it! Overall: ***** hands down. HALO will never get less! Giveaway goes live on April 13th! We loved our halo's too!!! I love the print on this one!! So super cute!! 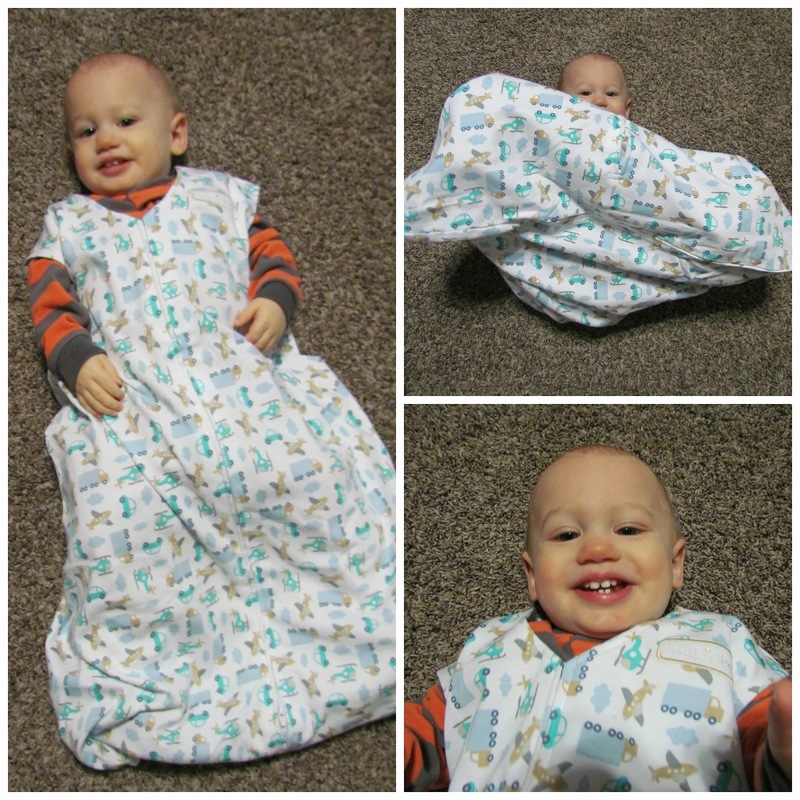 These Halo Swaddles are so cute and great to keep baby in and keep baby warm! I like that they have a zipper to help change babies diaper and I need to get one of these for my niece! These have been a lifesaver for us!!! So soft and warm and gives mommy some peace of mind! WIth the risk of SIDS and blankets, these sleepsacks seem to be the best bet for keeping a baby safe and warm. Can't wait to use them on my preemie!